They look delicious. I hav eno idea how it happened, but somehow I’ve been to Paris dozens of times and never noticed these little cakes. You can bet that I will be keeping an eye out next time. You did a great job! And yes, they are the perfect snack cake! I’m the same way, in that I’ve been to France dozens of times and never noticed cannelés! Beautiful work on those little cakes and they definitely are the perfect little snacks on the way out the door! Great photos in this post, too. Your cannelés came out perfect! I made the minis, but after seeing your photos I may need to buy a new mold. I love the bigger size. BTW…Gorgeous daughter!! Happy weekend, Sanya! I love how dark everyones canneles turned out! I can’t wait to make them for myself! Looks so super delicious! 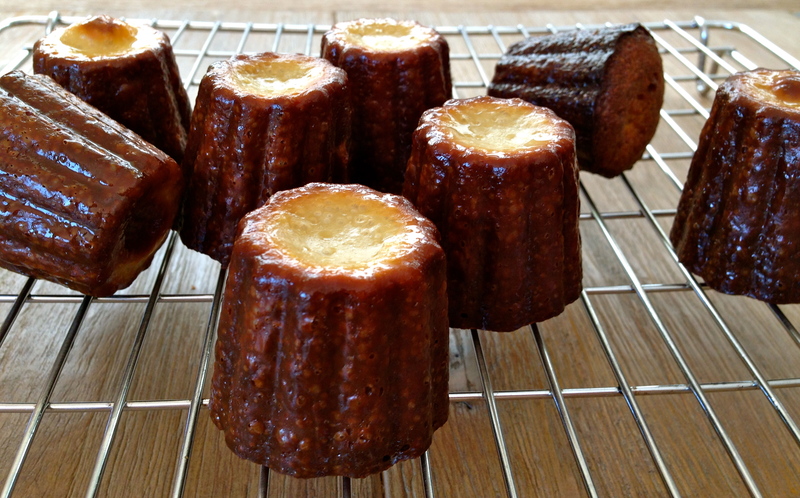 Your cannelés look perfectly tall! I know now to adjust the temperature and the baking time. Baking must be especially satisfying when your results are so perfect. I love the contrast you got between the browned exterior and the custardy centre. It’s been so much fun reading everyone’s posts this week. we start baking from Dorie’s new book. Your daughter is lovely…and so nice that she gave these her seal of approval. I’m thinking the Doristas need to meet in Paris for a taste of real French canneles! 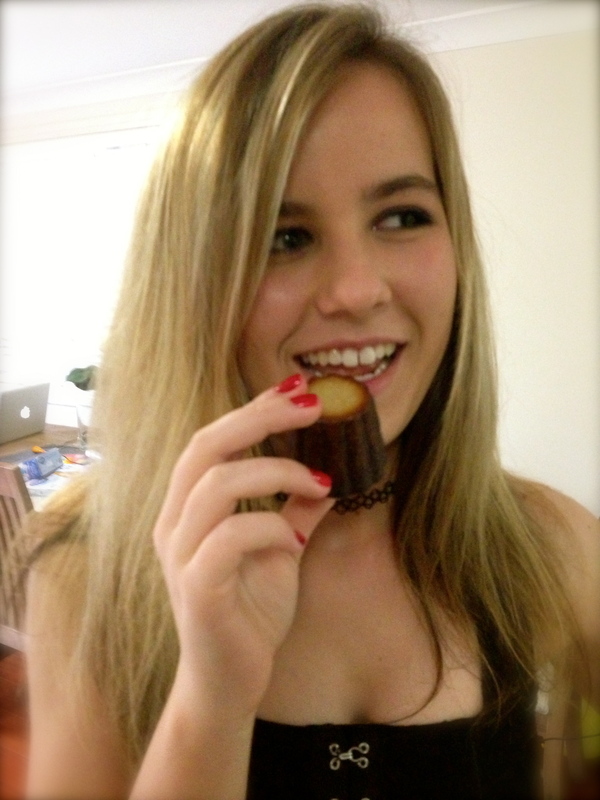 Perfect pairing – your lovely daughter and your lovely canelles! Your canelles look perfect. Looking forward to the new book. 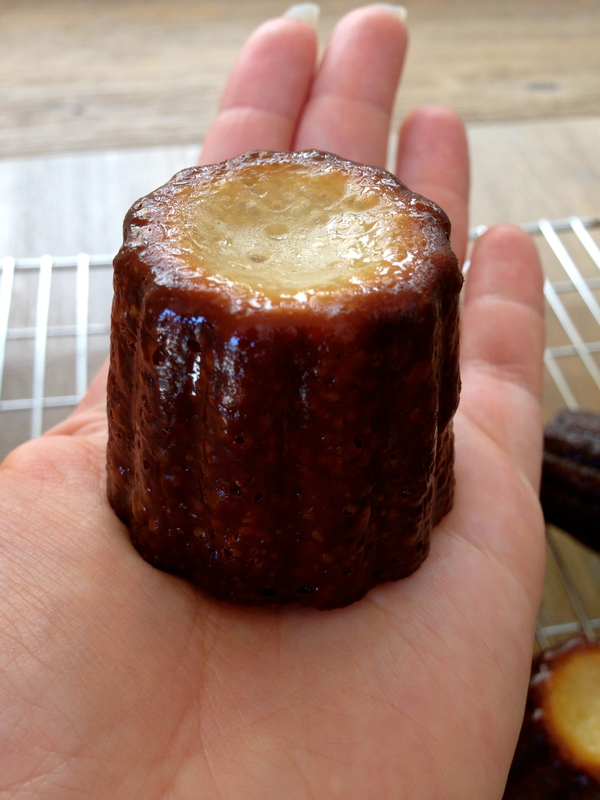 Your canneles look like the perfect treat. I’m going to have to get a mold so I can try these for myself! Have a great week, Sanya. I’m so happy that you’re back cooking with us! These are beautiful (as is your daughter). Looking forward to making this recipe in the future! First, you have one beautiful daughter. And, she looks like she’s a nice, nice young lady. Everyone that made canneles (except Adriana) thought they were wonderful. My hat is off to all of you. They looked a bit complicated to me. Buttttt, I was encouraged by everyone’s successes and will try them soon. Yours look delicious and just perfect. Nice job, Sanya.